4. Place sausage-cheese ball in each biscuit cup. 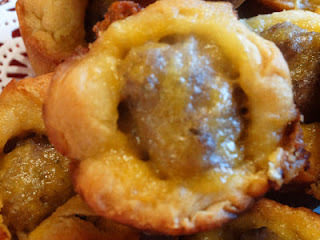 Bake for 8 to 10 minutes or until biscuits are browned and sausage balls are bubbly.